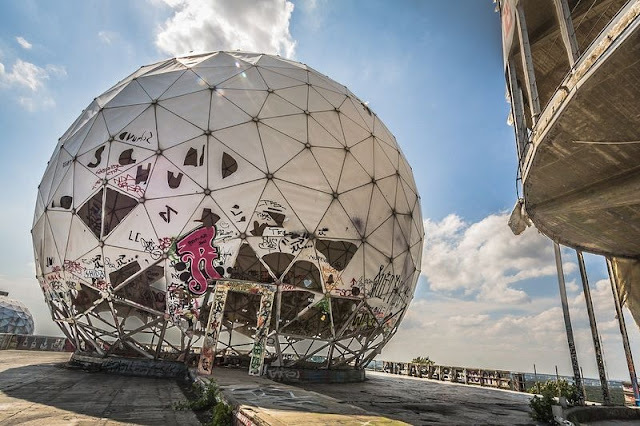 At the end of the Second World War, Berlin had over 400,000 homes destroyed and an estimated 75 million cubic meters of rubble that needed to be cleared. 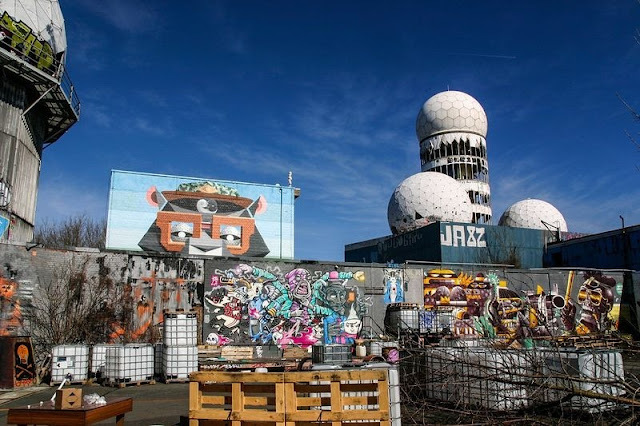 The rubble from destroyed buildings were dumped mostly outside city boundaries but some of the dumping sites were within the city. 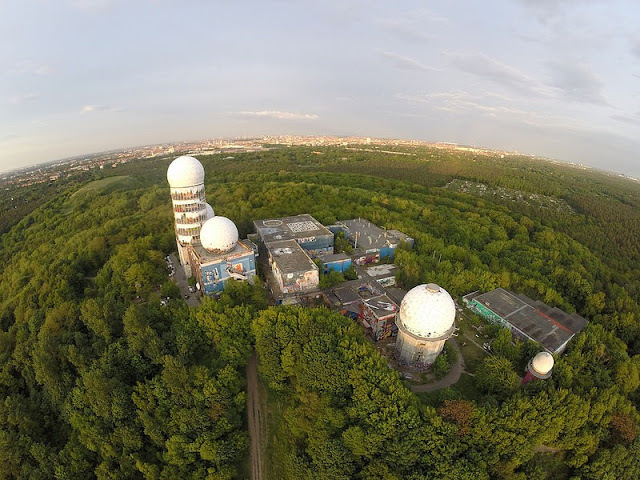 As many as eight such debris mountains, known as Schuttberge, are known to exist within Berlin which have since become part of the city’s landscape. 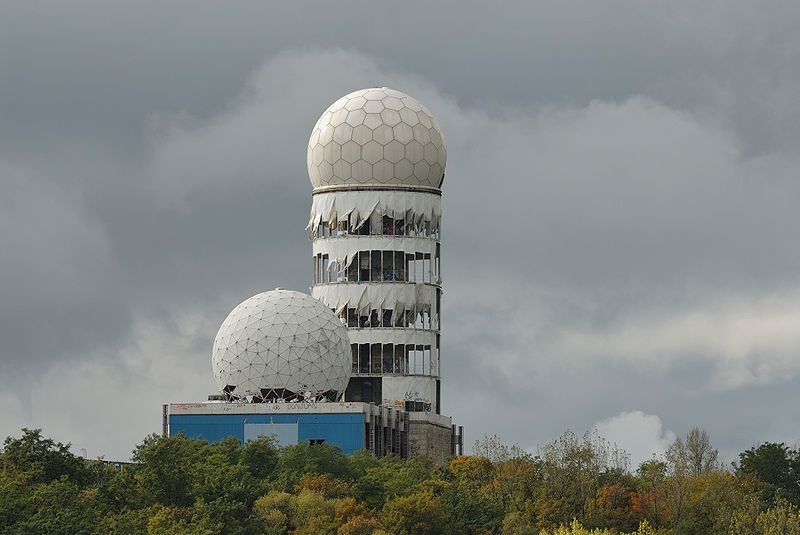 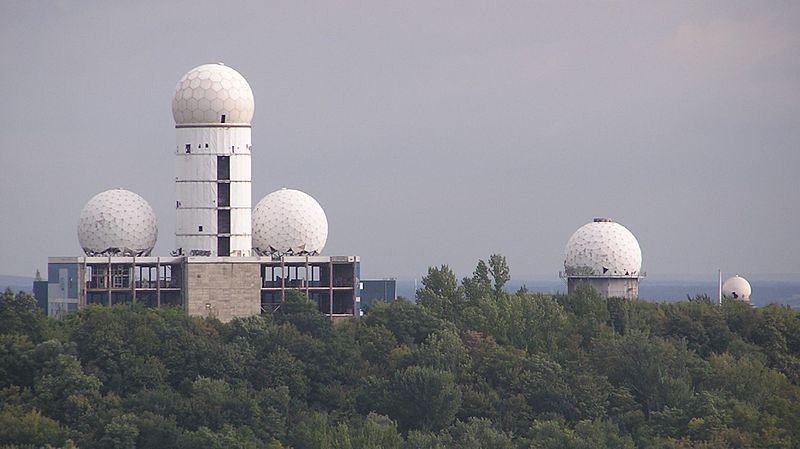 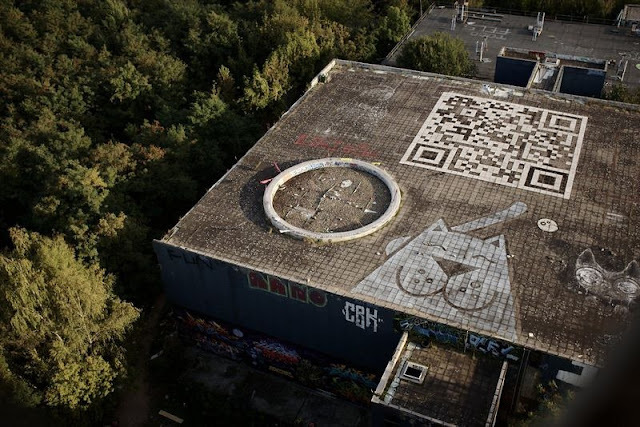 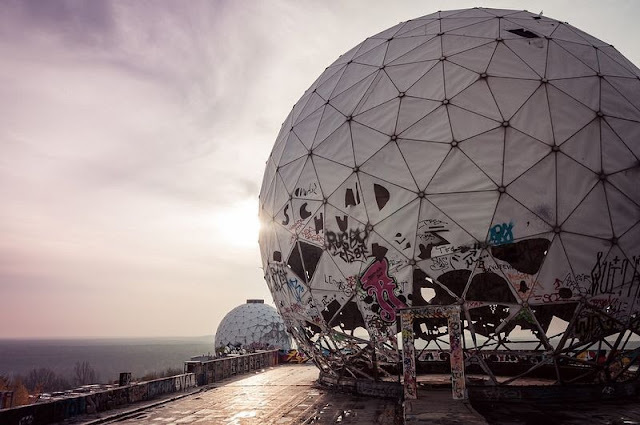 The tallest of these and the one with the most interesting history is Teufelsberg, or the Devil’s Mountain, located in the Grunewald locality in the western parts of Berlin. 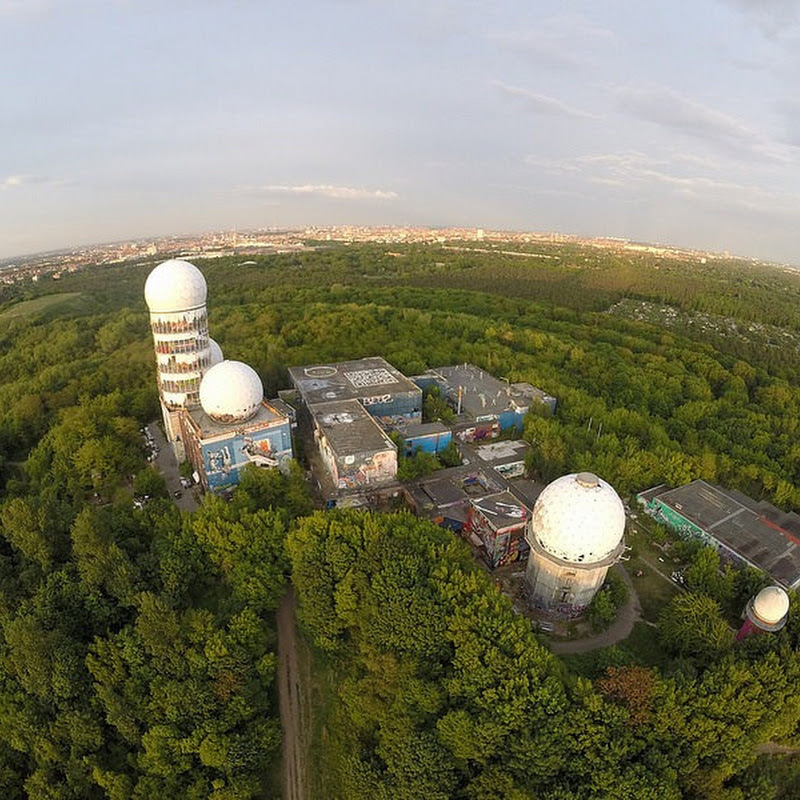 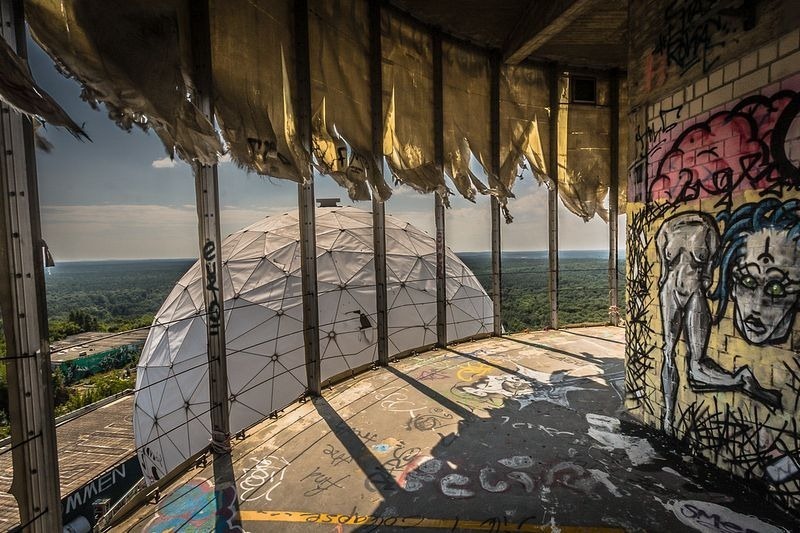 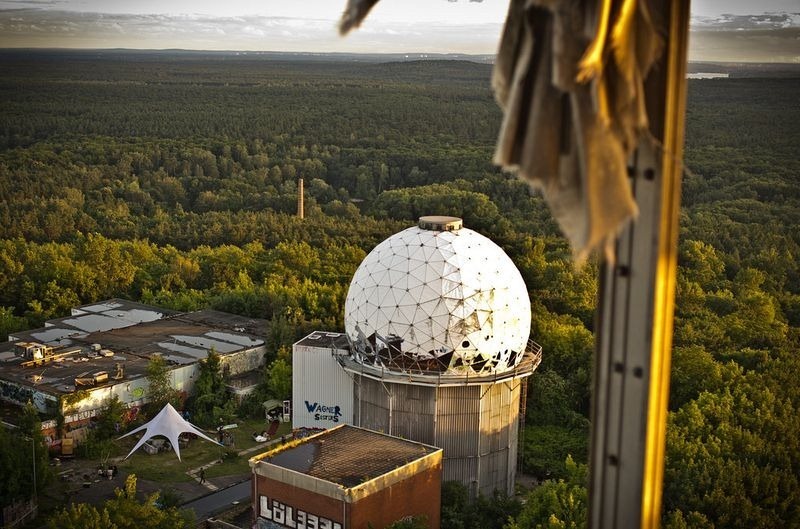 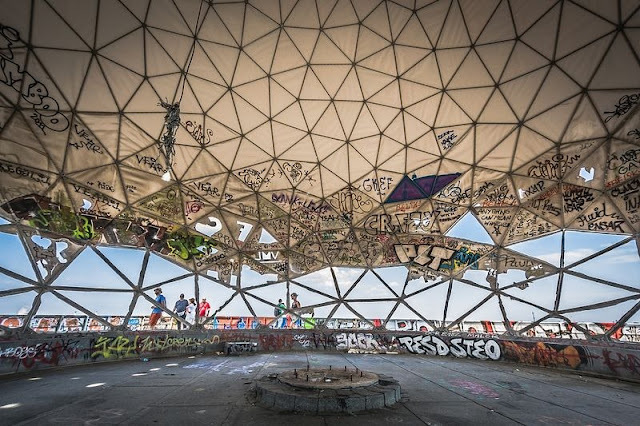 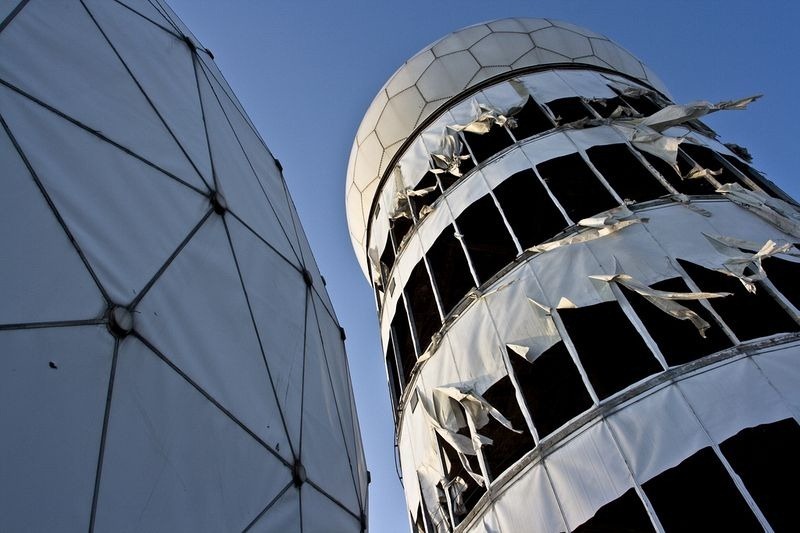 Teufelsberg is 80 meters tall and is made of 26 million cubic meters of rubble. It sits on the site of a former Nazi military training school designed by Hitler’s chief architect Albert Speer. 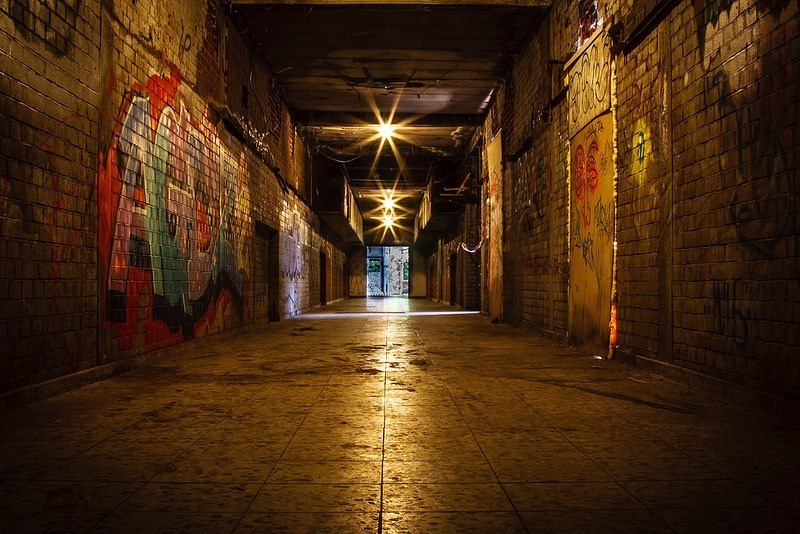 In fact, the ruins of the school are still buried underneath. After the Allies won the war, they tried to demolish the school using explosives, but the structure was so sturdy they decided that it would be easier to bury it under rubble instead.